This oil-free serum is formulated to simultaneously exfoliate skin and replenish moisture for a smooth, radiant complexion. 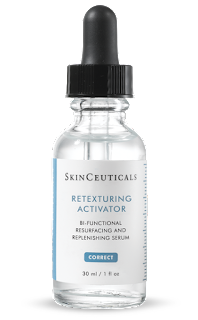 This serum provides the results of a 20% glycolic treatment but without the aggression associated with this ingredient whilst simultaneously reinforcing the skin’s barrier. 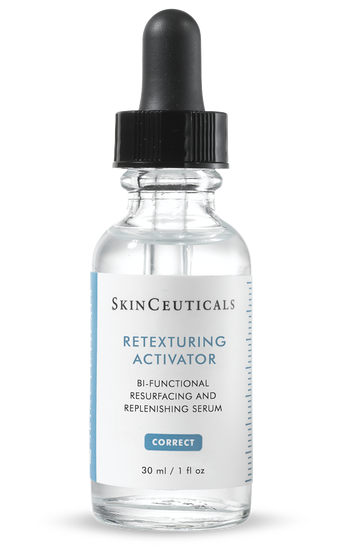 *25% hydroxyethyl urea/aminosulfonic acid compound – unique combination of ingredients designed to break the bonds that hold the dead cells onto the surface of the skin for a resurfacing effect. *Kombuchka Acid – a by-product of tea fermentation has an antioxidant effect and improves radiance and skin tone. *Hyaluronic acid – Holding up to 1000 x its own weight in water, this natural humectant hydrates the skin without upsetting the skin’s natural hydrating processes. Apply once or twice daily. 4-6 drops to face, neck and décolletage. Apply over serums and under SPF or night cream. Do not apply on the nights that retinol is used. This is a great hydrator and skin brightener which will not upset the skin’s natural skin barrier. **Reminder – always leave 1 minute before applying anything over your antioxidant Vitamin C serums. I absolutely love this product. I have extremely sensitive skin, so I normally don't try new products easily. However, this product was recommended to me so I decided to give it a try. I am able to use it every night and it hasn't irritated my skin .In fact it has improved my rosacea. It makes my skin feel smoother and it is also helping to lighten my skin discolouration. I would definitely recommend this product!